I was scanning through ebay in the synth catagory and came accross an auction for a split minimoog. Basicly it was a mini without a keyboard. I looked at the photo and sure enough no keyboard. 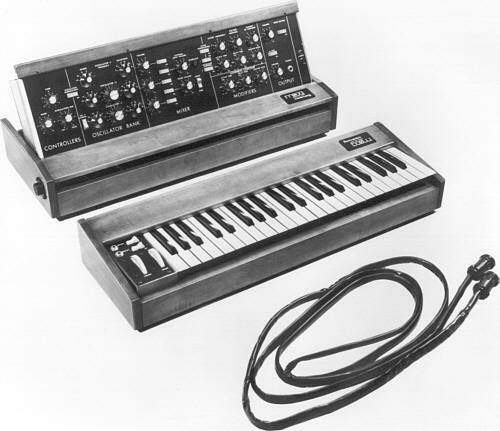 I had never seen this type of Mini before, had Moog made something like this at one time? I have seen several unit sthat people "cut" apart - it is likely one of those. I believe only ONE factory original split Mini was made - Roger will know for sure. Gary Wright used to use one he cut apart, and Roger Manning had one - I think Devo too. All professionally done, but not by the Moog factory. It's an easy thing to do, actually.